We are deeply troubled by Missouri's continued imprisonment of Byron Case, who was tried for first degree murder and armed criminal action in 2002, and sentenced at age 23 to two concurrent life sentences without parole. The evidence presented to that jury by the prosecution was comprised almost completely of testimony by Byron's embittered, drug-addicted, mentally ill ex-girlfriend's --testimony that even a cursory overview exposes as self-contradictory and at odds with the undisputed physical facts of the crime. 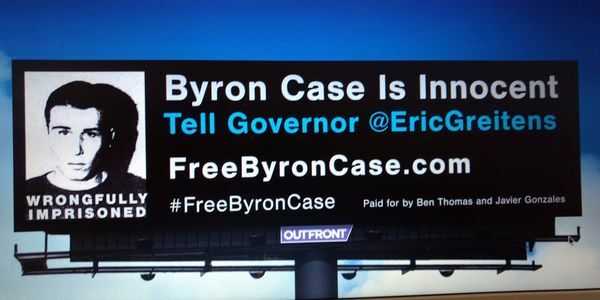 Documentation at freebyroncase.com and skepticaljuror.com, as well as the exhaustive analysis of the case presented in the book "The Skeptical Juror and the Trial of Byron Case" by J. Bennett Allen, leaves little doubt that Missouri has condemned an innocence man to a slow, lingering death. Byron, his family, his friends have suffered for many years because of this tragic error by the system and the lies of one manipulative woman. Byron's supporters have long awaited the wise court decision that would right the wrong and set him free, but all of his procedural remedies are all exhausted. His fate is now in your hands. In the name of truth and justice, as you are empowered to do by Article IV, Section 7 of the Missouri constitution, we implore you to grant Byron Case a full pardon and allow him the life of liberty he deserves. Thank you for your support and compassion.